Small / medium-sized animals are suitable for children (to be considered the internal wooden staircase). For breakfast a welcome basket is provided, with various products. Borgo di Varano offers food, a wood oven where you can bring food to cook, post office, bars, restaurants nearby. 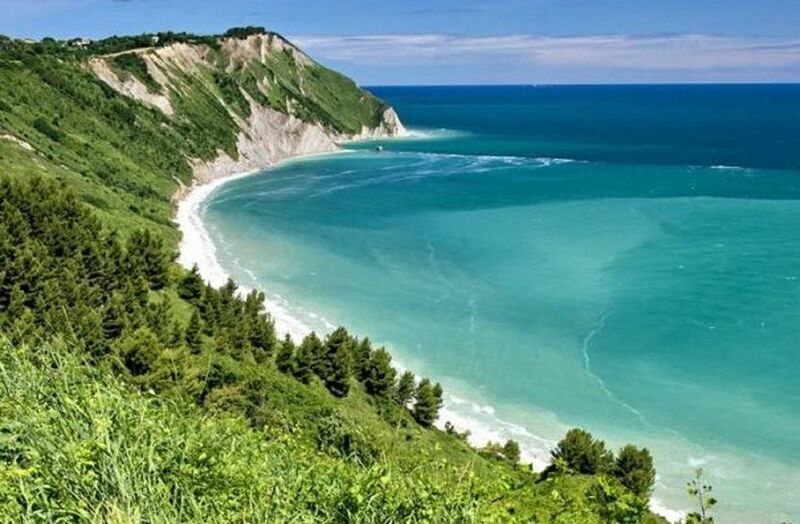 Peace and beauty in the Conero Natural Park, 5 minutes drive from the beach of Portonovo and the center. Not far from the tourist centers of Sirolo and Numana, with the famous beaches. A few kilometers from the Marchigiano hinterland, with all the characteristic villages to visit and from Loreto (destination of pilgrimages), Grotte di Frasassi (natural place of indescribable beauty), Urbino (home of the Raphael). Ascoli Piceno and the famous Meletti coffee square. Castelfidardo, homeland of the Accordion. I live practically between Ancona and Lefkada, where I have been moving for 20 years, in the summer months for my activity of incoming on the island, after some years of catering. And I am happy to have been able to carry out my work in the field of tourism, for which I have studied and practiced since childhood. The village of Varano, also called 'Country of Dialects' for a festival held in late August and early September, a place as few to feel welcomed. You will find car parks in front of the house or nearby (except during the festival, where we will give you some advice), local bus stop for Ancona, not far from Ancona Sud toll, not far from the beach, Inland Marche and the wonderful places you can visit. The whole house available, including a garden with sunbeds and BBQ, at 20 mt.